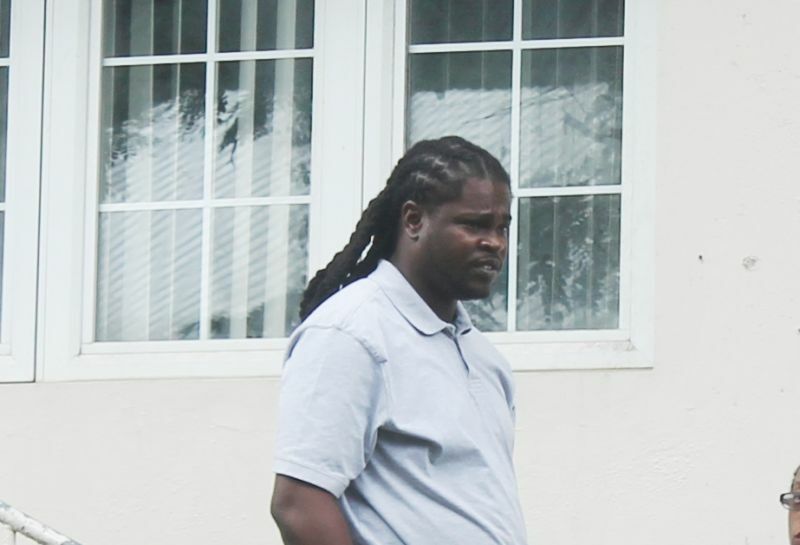 ROAD TOWN, Tortola, VI – Antonio Joseph Caines, 34, of Duffs Bottom and Osrick DaSilva, 37, a native of St. Vincent both got their Christmas wishes granted by Magistrate Velon John when they appeared before him earlier today December 4, 2013. In August 2013 the two men were charged for failing to declare monies after $100,000 was allegedly found on a cargo vessel. 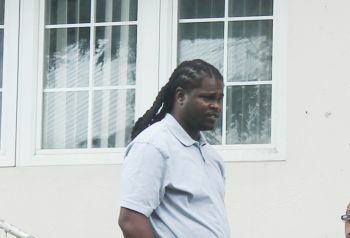 When they were initially placed before Senior Magistrate Tamia Richards, Caines was placed on $80,000 and was required to surrender his passport to the Royal Virgin Islands Police Force (RVIPF). DaSilva was, however, remanded to prison. The new magistrate granted the requests of both accused today as DaSilva was granted bail to the sum of $80,000 for which he was required to have two qualified sureties at the request of his lawyer. 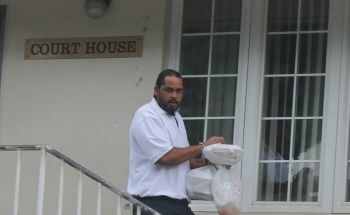 The court heard that it would be totally an injustice to have DaSilva remain incarcerated until the re-commencement of the trail scheduled for January 28-29, 2014. This was based on the fact that the penalty for jail time, if found guilty, would be much less than the time of six months that he would have spent prior to the re-commencement of the trial. The magistrate also noted that it was in the goodwill of the Christmas spirit that the man should be allowed to spend the season with his family, which includes a new born baby he has not yet been allowed to see. Caines, on the other hand, was granted the request to retrieve his passport from the RVIPF for the period of December 17 – 30, 2013 to allow him to travel to St Kitts to visit his grandmother. NOw there is a magistrate with a conscience. I like him already. Who is looking out for us natives? Pleased why u say that. Don't the Senior Magistrate have conscience? I think she is the best practicing attorney in the BVI right now. So she must have a conscience. You have 1/2 of the story. He ordered public flogging in his homeland and wanted it to be done immediately without giving the accused man his legal right to appeal. How much goodwill is that!!! Welcome bro but let's wait and see. BVI bloggers sway depending on the occasion. Today they are for you; tomorrow they will be against you. Do you really think they will show up for trial? I believe they will or Vincentian Prime Minister Gonsalves will send the vincy right back here. That is a policy of his government. Thank u madam chief justice , mr john this is a new communist , clean it up , , please clean up this country thank u madam chief justice , let ms ********* sit by some desk . And the Section is, section 60 (1) of that BVI law which guides a Magistrate on the [Right of accused persons to bail]. ""(1) Where the offence with which the accused person is charged is a misdemeanor punishable with fine or with imprisonment,with or without hard labour,for any term NOT EXCEEDING two years ,the accused person SHALL be entitled to be admitted to bail as is hereinafter mentioned""]. made mention and defined 15 serious offences for which a Magistrate SHALL NOT grant bail. The offence with which these men was charged,that offence is not defined or described in the Amendments. I personally, love and appreciate God's children:I do not support persons in authority based on my liking and appreciation for their public work:ok. I support persons in authority who support and obey the law and who respect the rights of Her Majesty's citizens and residents under the BVI Statutory laws and under Her Majesty's V.I Constitution! We have see the light @ the end of the tunnel , mr john we welcome you, to many bias court rooms thing that has been existed I could have swear our senior magistrate was the prosecutor in the court room , not even sometimes the chance to explain oneself. Is it to say we can expect a change , am happy that justice will prevail , thanks to the many pple who speak out about this , our voices hav been heard , madam chief justice we thank u from the bottom of our heart , u acted swiftly to protect our interest , we adore u . Well my tax dollars would be use for something constructive , rather than feeding overcrowding inmates, with the nonesense Ms perfect been doing, thank u our chief justice , this was a concern to me , wasting unecessary money , give bail sir , pple deserve it its ones rite according to the constitution , bail ! Bail ! Bail ! Bail! Bail ! Let them stay home and baby sit now , done enough damage to this government wasting tax payers hard earn dollar , my husband always ask why them taking the road they going ,, wish them well but they does not deserve a post in our court room . Parliamentarians/Ministers of Government,whom we voted for at our Constitutional General Election;can go into Her Majesty's Honourable House-of Assembly and say whatever they want about talkshow host,media personnel and bloggers;and when we blogg,they are VEX? Who vex-stay VEX! Bloggers have a fundamental/constitutional RIGHT to criticise persons in public life,because we have a reasonable expectation,for them[those in public life] to obey the BVI laws and to respect the Citizens'/residents' RIGHTS under BVI law and most importantly under the supreme law [The V.I Constitution]. Let FREEDOM REIGN-VINO;the world[United Kingdom,Great Britain and Northern Ireland] are reading your bloggs! we all know them Island man aint returning to the BVI to face charges. that in itself is a fatal mistake.